Preheat oven to 350°F. 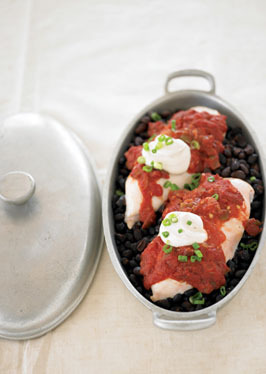 In a 9X12-inch casserole dish, layer beans first, then chicken, and finally salsa on top. Bake at 350°F for about 40-50 minutes. Serve with sour cream.